My crazy life with kids and paper! Hello! So glad you are stopping by! 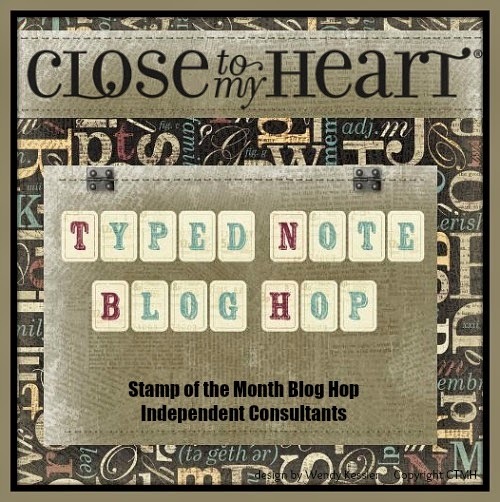 Welcome to the April Stamp of the Month Blog Hop. If you are coming from Jeanie's Blog, you are on the right track. There are over 60 consultants who are participating in the hop this month. If you get lost along the way, go to Melinda's Blog to get the entire list. This month we are showcasing (S1504) Typed Note. 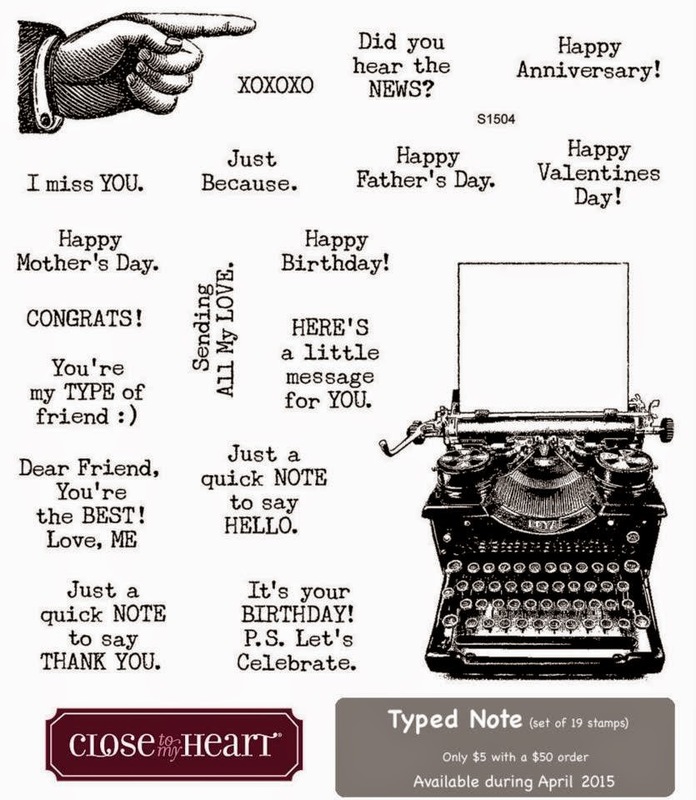 A set of 19 stamps featuring lots of much needed sentiments, old fashioned typewriter and hand. Great for any occasion. This card pattern is from Make It From Your Heart Volume 1 on page 45. The typewriter fit just perfectly in the middle space. Black and Teal Shimmer Trim and an Epoxy Bubble from the Black and Grey set finishes it off. These cards also have the same Shimmer Trim and Epoxy Bubbles. The hand on the card on the left is cut out to give a little more dimension. Now hop on over to Terry Ann's Blog to check out her fantastic artwork. Enjoy your journey! I love that first one- Chalk It Up works so well with this stamp set! Your first card is my fave, but they're all fabulous! Be sure to check out the Hop Post! Or click on this icon to get the whole list of hoppers! Ask me how to get your very own! I am a busy wife, mom, teacher and scrapper who tries to make time for myself and my fun hobby. I absolutely love Close to My Heart and how easy they make crafting. Follow my blog to learn fast and easy tips to make great looking projects! Don't miss out on Hopscotch! 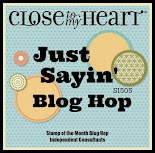 Join Close To My Heart this Month!